Alloy frame with carbon fork and rear, Ultegra components, Ksyrium wheelset (not pictured), 18lbs. Fairly upright. Full Carbon, Dura Ace 10-speed, Selle Italia wheelset (yes, it’s real! ), 17.3 lbs. Full carbon, Dura Ace 10-Speed, FSA carbon crank, Mavic Ksyrium wheelset 17.6 lbs. 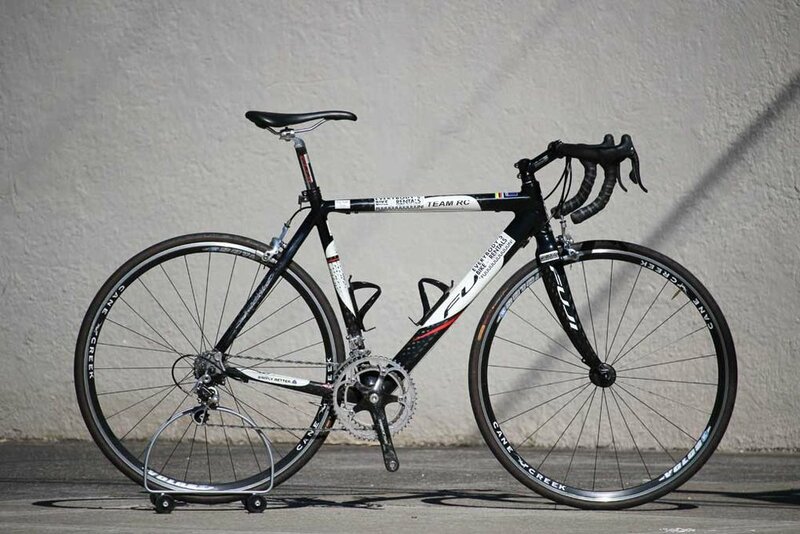 Dedacciai steel frame with carbon rear and fork, Ultegra components, Ksyrium wheels. 19lbs. Full frame and fork with 10 speed 105 and Aksium wheels. 19lbs.